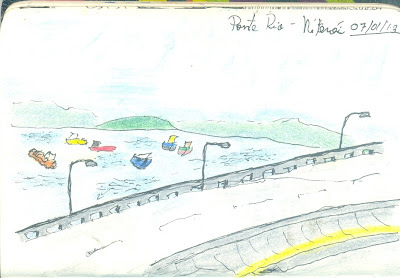 "I'm a 27 years old Brazilian and I've always liked drawing, but never had the chance to study it (nor did I have the dedication to study it alone). 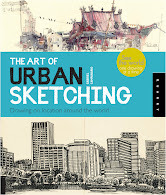 Last year, I accidentally found The Art of Urban Sketching and bought it, and since then my life has changed considerably. Not only am I practicing it much more, but also the way I see the world, my perception of things has got better. Much more than just a hobby, I think nowadays drawing/sketching is a philosophy to me, as it used to be when I was 12, 13 years old." 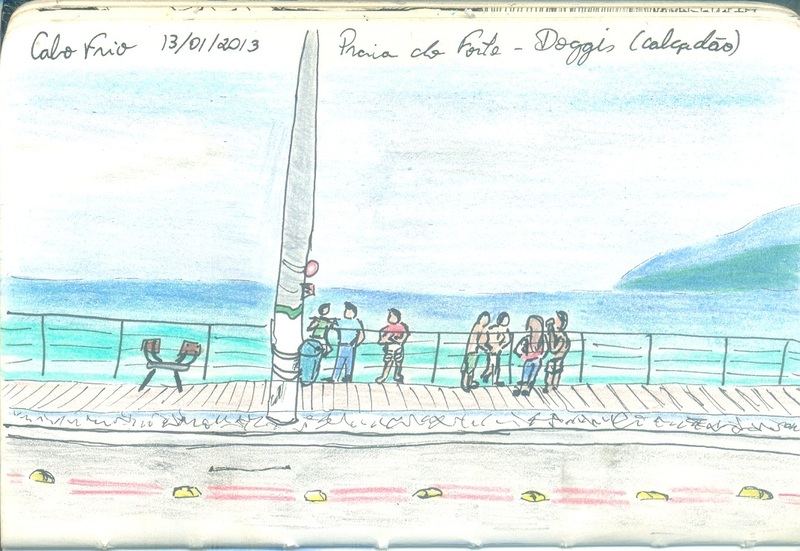 "I made these sketches on a trip to Cabo Frio (a small city in Rio de Janeiro state, famous for its beaches). Both of them were made in a pocket inexpensive sketchbook, using Faber-Castell coloured pencils and Mitsubishi Uni Pin pens (0.05 and 0.2)." How are you liking the book? I'd like to post more inspirational testimonials like Rodrigo's. 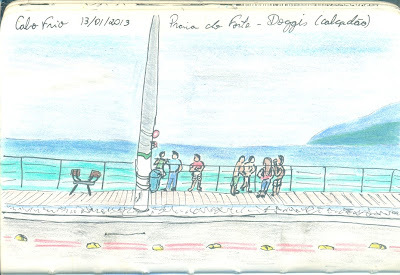 Feel free to send me your words and sketches to gabicampanario@gmail.com. Delicia sexual activity uses the internet!! Well known who're totally initially-school able to remedy inquiries maybe you have...initially-price sports activities! !